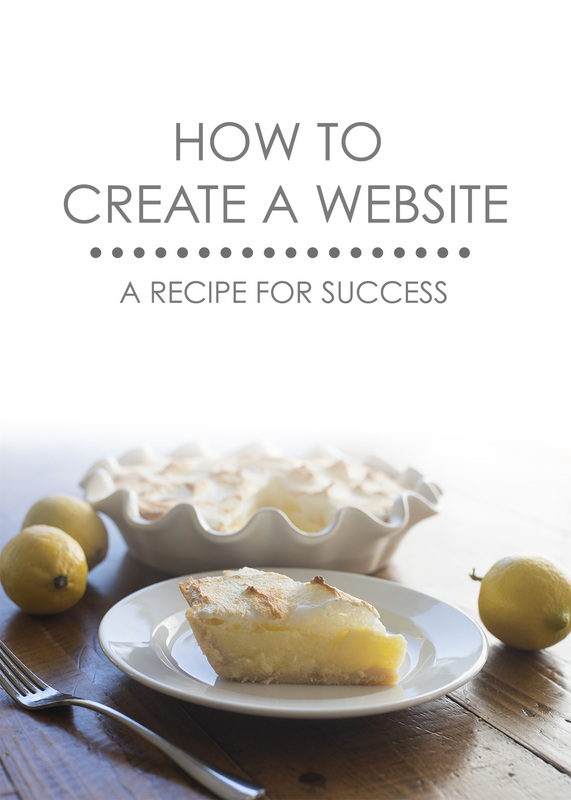 I have been getting asked lately by personal friends and internet friends how to set up a website/blog. So here’s the scoop…it’s so easy that even this totally tech-UNsaavy chick can do it (in fact I’ve done it several times), and you can too. Are you like my friend, Jennifer who has a knack for baking and could probably make a some serious dough (ha, see what I did there?) if she just had a website to show off her talents? Or maybe you just joined my Norwex team and want a way to attract potential customers. No matter what your niche is, I can help. If you want to be taken seriously, to be seen as a professional and a stable business as opposed to a hobbyist, it’s important to have a website that does not end in .blogspot.com for example. No, I am not a tech-saavy person, but who better to break it down for you than somebody who isn’t going to throw a bunch of computer jargon at you? So let’s get started! It won’t take long and there’s no time like the present! Please note that some of the links below are affiliate links and I will earn a commission if you purchase through those links…which means that I can continue to bring you helpful content like this! Choose a name for your Website/Blog. This is fun. I recommend brainstorming name ideas and running your favorites past a few people before registering. Also, before getting too attached it is a good idea to make sure the domain name you want is available. 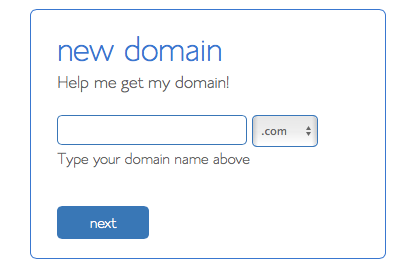 Go to Bluehost and simply type the domain name into the box that looks like the one below to check for availability. You may be asked to choose a plan first. The starter plan should be good to get you going and you can always upgrade later if you need to. You’ll also need to host your domain which means you’ll have the right to use the space on the world wide web for your blog/website. 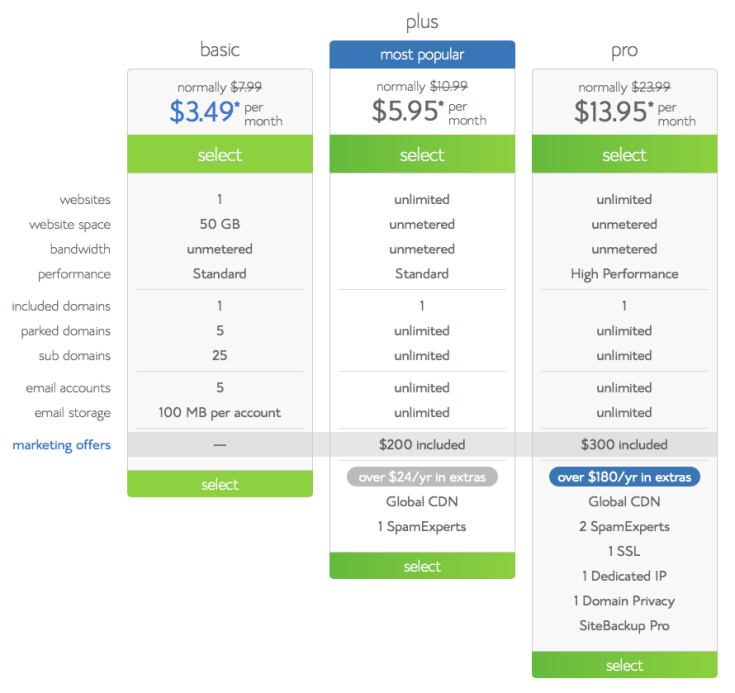 Bluehost will host your domain for FREE if you sign up for one of their website hosting plans (pictured above). If you have any trouble at all, you can call the helpful people at Bluehost with their 1-800 number. Now that you’ve completed registration with Bluehost it is time to install WordPress. WordPress is a blogging software platform. It’s the software that I use for DefiantlyGoodFood.com. It’s easy to use and it’s also quick to install on your website. I love the wordpress format because it is not static, your visitors will see something new everytime they come to your website. You can have zero HTML knowledge and still create a beautiful website with all the bells and whistles. HERE is a complete walk through of the steps to install WordPress onto your Bluehost website. Once your installation is complete, be sure to write down your Admin URL, username and password before closing the screen (look for credentials). Type your AdminURL into the web browser bar and login with your username and password. And voila! You are logged into your very own website, my friend! 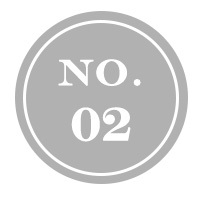 Welcome to Bloghood! ProPhoto: my favorite, but the best part is my friends get a discount! If you use promo code JSTA9690 you will get $10 off! How awesome is that? The above links are affiliate links. When you buy something through one of my links, I get a small commission. That means that at no extra cost to yourself, you can help me pay the costs of running this site and continue to provide more FREE goodies like this for you! Thank you for your help! As always, if you found this post helpful, share it with a friend, or share it with all of your friends.